This Christmas Salad is anything but difficult to plan and you can make it early and abandon it in the ice chest. I conveyed it to our last family assembling and everybody raved about how great it was. It gave my mother's Pineapple Cheese Salad a keep running for her cash. Contains every one of the shades of Christmas! 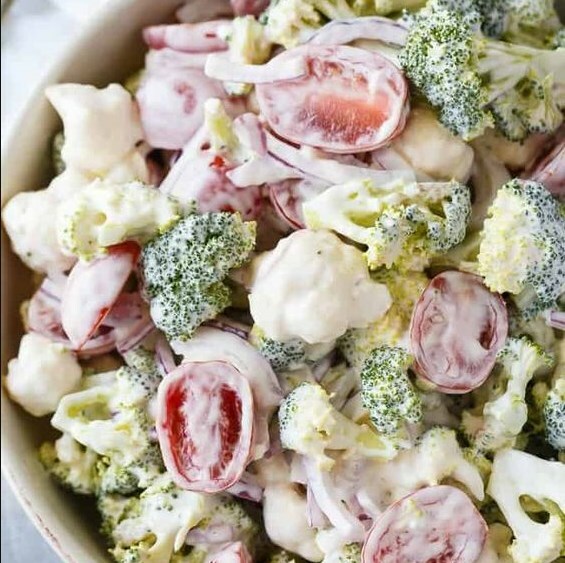 This new, brilliant serving of mixed greens is made with broccoli, cauliflower, red onion and cherry tomatoes blended with a smooth dressing. Add veggies into a salad bowl. Visit bit.ly/2FPlivk for full instructions.